Placer gold mining is a process of extracting alluvial gold deposits from existing and former river banks. The metal deposits found on the bottom of the rivers are a result of river streams or melting glaciers carrying them from the original gold veins. Due to natural erosions, gold deposit sources are being continuously renewed and redistributed presenting new mining opportunities. Below we present 7 Things that are important for any aspiring gold miner. 1. Knowing where to start your placer gold mining exploration is the foundation of any successful operations. Most of US gold bearing areas are scattered across western states like Nevada, Arizona, Alaska, California and many more. Check out our other articles listing many gold mines for sale opportunities if you are not sure where to start. Among all yellow metal rich areas, Nevada gold mines are perhaps the most historically rich with over 115 placer gold mining areas in one state alone. 2. The second most important factor to take into account is what type of equipment you are going to utilize. Placer gold mining equipment is divided into 2 basic categories, wet and dry recovery devices. Your selection certainly depends on placer gold mining conditions and whether you are going to work in existing or former riverbank sites. Among wet recovery gadgets you can select pans, sluice boxes, suction dredges and trommels. As to dry types of prospecting equipment you can consider metal detectors and dry washers. Larger gold mining companies utilize professional grade mining equipment that is more powerful and can process massive amounts of riverbed material in shorter time periods. 3. 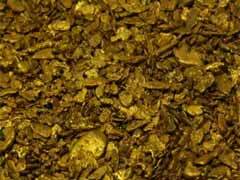 The top three methods that are used for placer gold mining are gold panning, sluicing and trommels. Historical panning method is the simplest of all and utilizes wide shallow dishes that are filled with riverbed material and washed under the water in the efforts to separate heavier precious metals deposits from waste gravel. Sluice boxes allow gold miners to process larger quantities of gravel and are much simple to operate compared to panning method. And perhaps the most technologically advanced and commercial mining method remains the trommel contraption that presents an inclined metal tube with a fitted screen on the bottom end. Gravel material is fed into the trommel tubes and processed with pressurized water that separates gravel waste from precious metal deposits. 4. Learn and practice safe placer gold mining practices that will help you avoid major hazards along the way. Scorching sun, harsh winds, slippery stones, scorpions and snakes are just a few hazards to mention one should watch out for. Equip yourself with proper working clothing, sturdy hiking boots, tall rubber boots, light and heavy jackets, plenty of sunscreen and basic first aid kit. Additionally, invest in a good pair of lightweight snake chaps or special pants that are made of durable material to withstand snake bites. 5. Placer gold sampling is important for assessing if it’s worth investing your time and money and work in a specific area. The size of our article does not allow us to explain this complicated process in detail but we can refer you to a great publication work by John H Wells with a title Placer Examination: Principles and Practice. 6. Knowing how to sell your precious nuggets is also important for a novice prospector. Your findings are assessed based on their weight and the market price of gold. However, this is only true for pure gold deposits, not for gold nuggets with embedded impurities like copper or silver. Another essential factor that should be taken into consideration is your nugget gemstone value that could be quite high if your gold piece is rare in shape, size or composition. It definitely pays to take your precious possessions to a number of precious metal mining shops, refiners or even trying to sell it on EBay. 7. Placer gold mining regulations vary by state; make sure you learn the rules before you set out on your first gold mining expedition. Certain states prohibit the use of suction dredges due to harmful environmental effects associated with their use. Some types of suction dredges are believed to have tremendous negative impact on the overall ecosystem of rivers and wet streams. Please check out our article on gold mines in Canada for even more gold mining opportunities.